Spring is officially here its time for the fresh face, brighter colours and warmer weather (we hope). 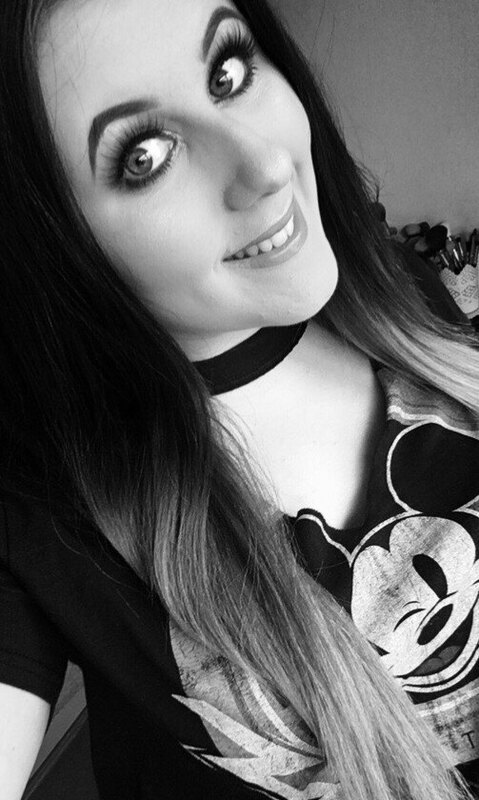 Even though i am a full coverage kind of girl in Spring and Summer i do tend to go for lighter bases and build up coverage with concealer. My skin has cleared up alot over the last six months and im feeling more confident wearing lighter bases. I will definitely still be wearing full coverage but on those warmer days i need something not as heavy. 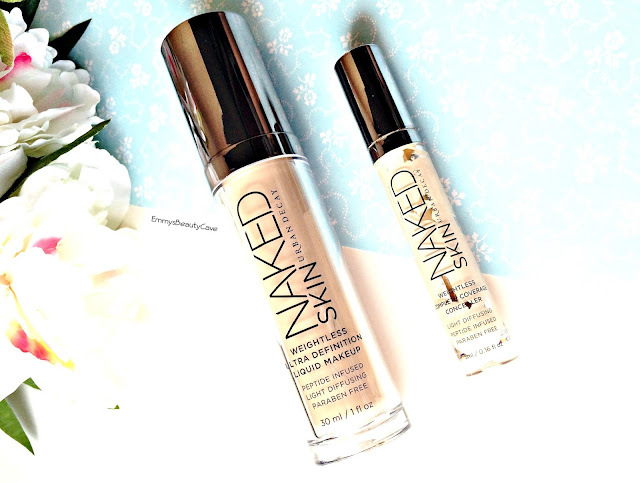 Urban Decay are one of my favourite high end brands so how does the Urban Decay Naked Skin Foundation and Concealer pair up? 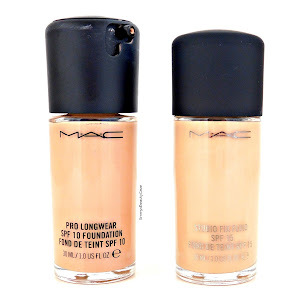 This foundation is not something i would usually go for but i have become to love and hate it. The one thing i don't like about the foundation is the consistency, it is unbelievably runny! You put a dot on your face and it literally runs down so you have to work quickly. The coverage is light - medium but i would say more on the light side. The finish is lovely, it looks flawless whilst looking natural. If you like lighter coverage but still want a flawless look then this is for you. Another base i love in Spring/Summer is the Benefit Hello Flawless Oxygen Wow Foundation which has a little more coverage than this one but works just as well. You all know i love the Urban Decay Naked Skin Concealer, it is the creamiest concealer EVER! This paired up with the foundation creates such a fresh look. The concealer has medium coverage and brightens up your face. The applicator is amazing, it is two sided and flat on both sides. If you have clear skin you will love this foundation but when i get breakouts i stay far away from this as it just looks horrible. What is your favourite base in Spring?